If you’re going to kick arse, you better have a theme song of equal kick arsery if you want to be remembered. The Karate Kid had “You’re the Best”, Rocky has “Eye of the Tiger”, and superhero-without-any-actual-powers Masayoshi Hazama has just switched his to FLOW’s rifferific “Ai Ai Ai ni Utarete Bye Bye Bye” for part two of Samurai Flamenco, out from 5th September as a limited edition Blu-ray from Anime Ltd.
It’s far from the first time FLOW have been the provider of a quality theme song – they’ve done at least 14 so far! These include songs from Code Geass, Durarara!! and Persona, without forgetting their epic cover of Dragon Ball Z classic “CHA-LA HEAD-CHA-LA”, recorded for the film Dragon Ball Z: Battle of Gods (and also used in the franchise’s games Battle of Z and XenoVerse). One of the band’s most popular tracks is also their first ever theme song; “GO!! !” from Naruto. So popular is it that the music video, which can be found on the band’s official international YouTube channel, has around 13.5 million views! An amazing task when you consider that none of these hits are coming from their home country, where the channel is blocked in favour for their own domestic one. FLOW formed in 1998 when brothers KOHSHI and TAKE wanted to create a group. They’d spent the past few years playing music together in an X Japan tribute band, with older bro KOHSHI taking care of hide’s lead guitar parts, and TAKE imitating Pata’s rhythm guitar. However, when it came to forming their own original band, KOHSHI would let his brother take care of lead guitar while he focused on vocals. He wouldn’t be alone on the microphone, either. 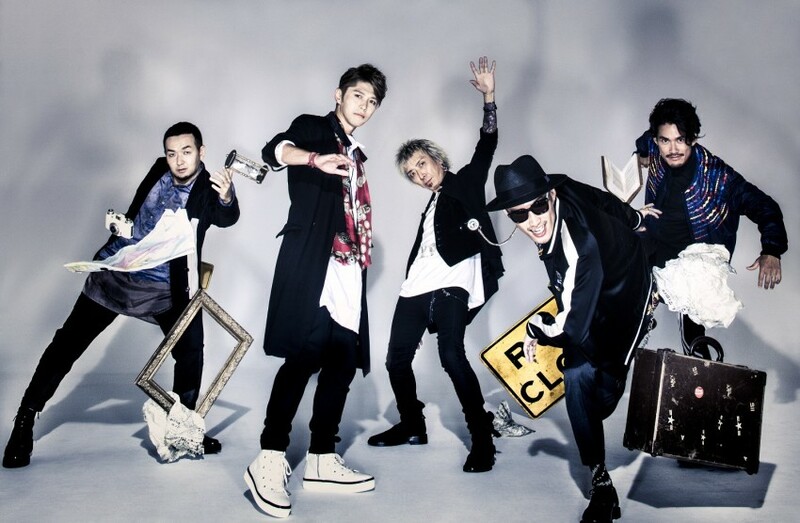 FLOW has two vocalists, the other being school buddy KEIGO, who is also one of the group’s main song writers and was the third member to join, before bass player GOT’S and drummer IWASAKI (these names are all styled following their management’s strict styling rules, by the way – capitals, apostrophes and all) were recruited, mostly through a shared love of X Japan and hip-hop. Since then, FLOW have unleashed more than 30 major label singles, with their 31st recently hitting Japan, entitled “Kaze no Uta / BURN”. The double A-sided release pack two new theme songs for the Tales of series; “Kaze no Uta” for the anime series Tales of Zestiria the X, and “BURN” for the video game outing Tales of Berseria. They’ve also recently started to make moves overseas, which may explain why their YouTube channel is getting so many hits (50 million and counting!). Last year saw FLOW conduct their first proper world tour. Well, not proper “proper”, as the UK and Europe were not part of it, but they still managed to play in seven countries outside of Japan, including dates in America, Canada, Brazil and Argentina. FLOW are, however, coming to France in November for JAPAN MUSIC PARTY 2016, with fellow anime song giant JAM PROJECT. To mark the occasion JPU Records will be releasing FLOW’s ANIME BEST KIWAMI on CD across Europe, packing a number of their finest, freshest and most kick arse anime theme songs to date. Masayoshi Hazama’s Samurai Flamenco theme if of course included. Samurai Flamenco Part 2 is out in September as a limited edition Blu-ray.